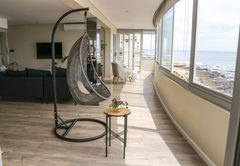 Viewpoint is a property providing self catering in Mouille Point for up to 6 guests visiting the Atlantic Seaboard region. 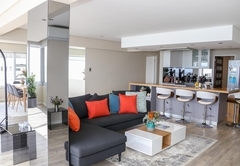 Situated on the 7th floor of a secure apartment block in Mouille Point, Viewpoint offers self catering accommodation for up to six guests. 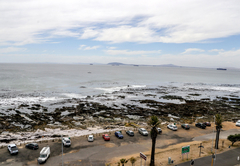 When staying in Mouille Point you are ideally suituated to explore all that Cape Town has to offer. 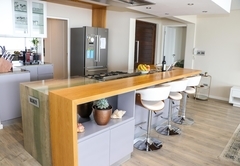 Viewpoint Holiday Apartment has three bedrooms sleeping six guests maximum. 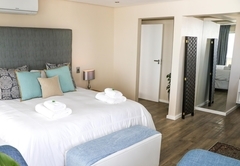 The bedrooms all offer luxury linen, air-conditioning and TV. 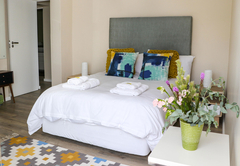 The main bedroom is furnished with a King-size bed and has an en-suite bathroom. Bedroom Two also has a King-size bed and Bedroom Three has a double bed. 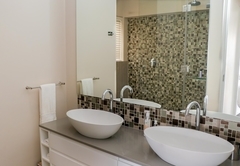 These two rooms share a bathroom. 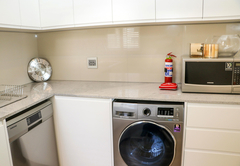 There is an open plan kitchen and living area as well as a closed off scullery area. 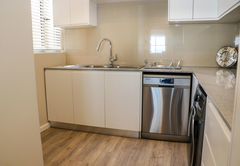 The kitchen is fully equipped for self catering and includes a SMEG oven, Nespresso machine, a washing machine / tumble dryer and dishwasher. 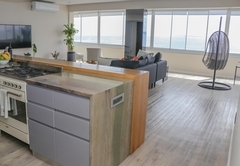 The spacious lounge and dining area is comfortably furnished and fitted with a TV and air-conditioning. There is also a balcony with incredible views. 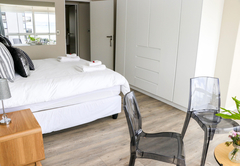 Viewpoint Holiday Apartment is on Millionaires Mile and is just a five minute walk from the V&A Waterfront, restaurants and shops. 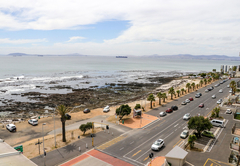 The Green Point Park and golf course are a minute away and the MyCiti bus stop across the road gived you easy access to the rest of Cape Town and her many attractions. 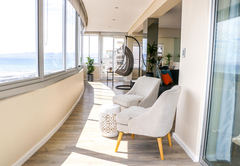 Deluxe, 3 bedroom, sea facing apartment, with a full kitchen, lounge & dining room which both lead onto a balcony. Response timeViewpoint typically responds to requests in 5-10 minutes.